Ahhh, it's Monday and this post is already hours late. Practically everything that could go wrong did and I'm just not feeling the greatest today, yuck. In better more joyful news, IT'S 2014! 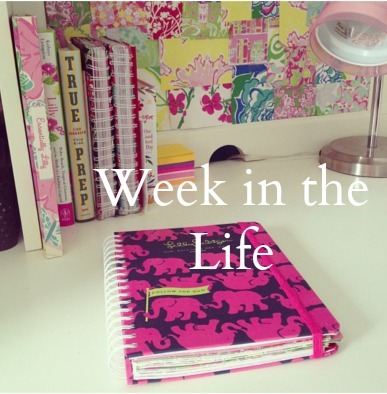 I know, I know, I'm a bit late, but you finally get to see what the first week of my new year looked like! So on New Year's Eve I tried to make this drink…even though Rosie's pictures are wayyy more magnificent and beautiful than mine (stupid iPhone and my no photog skills), it still tasted pretty delicious. All I needed was a bit of champagne and some raspberry sorbet, and bam! Tasted delicious. My mom even added a bit of red wine to hers and she said it made it even better, and she's generally a picky little one! New Year's Eve! I stayed at home with my family and invited Katie and Caroline over! We had a bonfire, made smores, drank my little concoction, and fangirled (to the point of actual tears) over Sarah Vickers and Kiel James Patrick getting engaged. I swear, they are actual perfection. So while we explored a bit, we saw the coolest little bridge and I had to snap a terrible pic from the back seat. I swear, I should probably get a better camera and brush up on some photography skills, because these terrible pictures bother the heck out of me. As usual, I had to share a coupe pictures of the delicious food I ate. I deviated from the kid's menu, due to immense peer pressure, and ordered the best burger ever. I also had an amazing breakfast in the hotel restaurant right by their huge fireplace. I felt so princessy. Again, while we were exploring, we popped into the chocolate place called Shakolad and it was pure heaven. I got dark chocolate pretzels and they were amazing. We had an outreach day where we went into a few low income communities and helped out by raking people's yards while having conversations about our faith, and it was so amazing. Even though everyone our group talked to either only spoke Spanish or didn't want to talk to us at all, we got to rake a few yards and helping people felt very nice, albeit a bit out of my comfort zone. I also had to add a picture of Katie's mashed potato goodness. It had crunchy fries on top, brisket in the middle, and mashed potatoes and gravy at the bottom. Even though I didn't taste it, it smelled amazing and she loved it. I thought it was very picture worthy. I found this bible verse while at the conference and just loved it. If you had told me a year ago that I'd be at a Christian conference talking about my faith and taking part in praise and worship and then blogging all about it (which I will do later this week after I decompress and process), I'd have thought you were insane. Not because I wasn't raised around the Church or anything, I was just never involved in all that and found it a bit weird and cult like (yes, I have a judgment problem…I'm working on it). Needless to say, I absolutely loved the experience and am so thankful and happy that God has led my life to this place. I cannot wait to share more about my experience with you, but first, I'm off to journal a bit to get my thoughts together and hop in a bubble bath. How was your New Year's Eve and first week of the New Year? Happy Monday! Oh my gosh that drink looks soooo yummy! I'm going to have to try that! I'm glad you had a good first week of the new year! Thank you! I hope you did as well! And yes, it's so delicious! I love all your photos, the sorbet drink sounds really good, I have to try that! Thank you! And yes, it's so much prettier in person and definitely tastes better than plain champagne! About faith and that conference, I used to feel the same way about those events and people! that attended them. My faith has grown so much in the last year too and I'm hoping to be able to attend a similar kind of conference! Document work as a fabulous journalist and additionally sometimes it is really difficult to work out when your career is normally in this article basic. Great self-esteem comes with still really been demonstrated just by the advantage that I often at this time become essay-on-time.com. This is yet another thing I have learnt through reading your blogs..